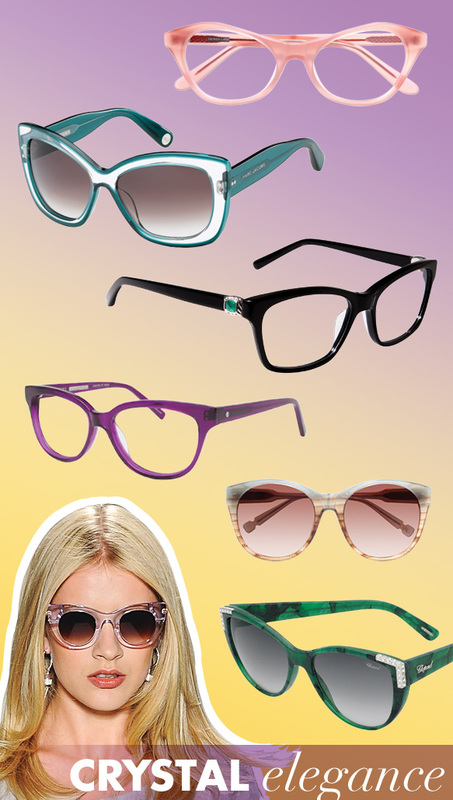 Spring is right around the corner, eyewear lovers! 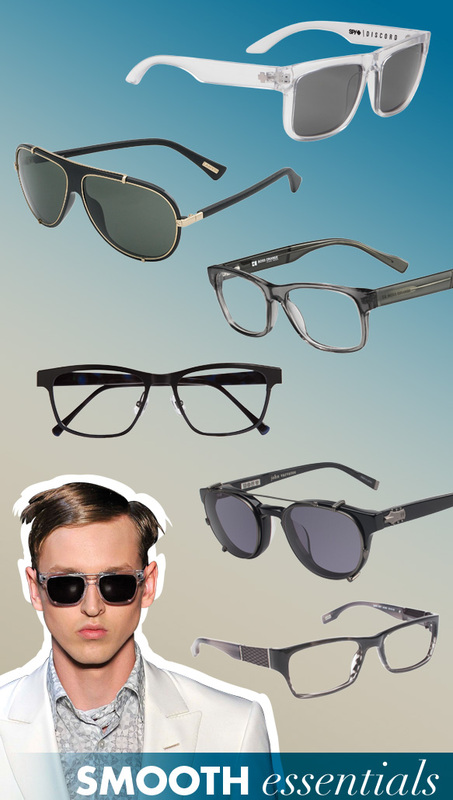 It’s time to set our sights on the newest trends hitting the scene when it comes to our beloved specs and shades. 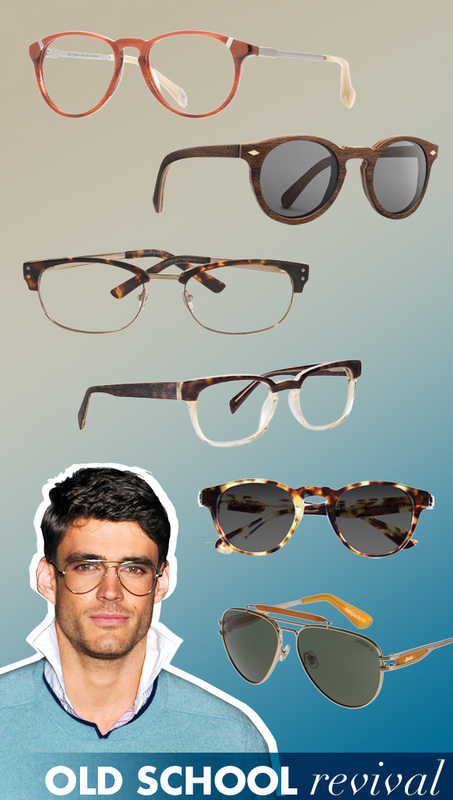 Get the scoop on spring/summer eyewear trends for men and women below so you can look your spexy best during the warmer months. Ladylike intrigue remains the heartbeat of spring’s best looks, with classic styles taking on a modern approach. Vintage vixens will adore retro, oversized shapes, as well as quintessential cat-eyes dressed up with luxe gems and metal embellishments. Translucent colorations in charming pinks, purples and greens offer chic, crystal effects, while bold black and rich emerald hues create majestic backdrops for glittery décor. With feminine flair at the fashion forefront, ladies can’t be without their equally lush eyewear. Carefree and confident chicks will be drawn to this season’s vibrant frames to create looks that dish up sheer summery delight. Neons – in greens, yellows, blues and pinks – make strong statements, while crisp, all-white sunnies and specs are also up-and-coming must-haves. Vivid color collides with high-function, creating a sporty, but feminine, vibe. 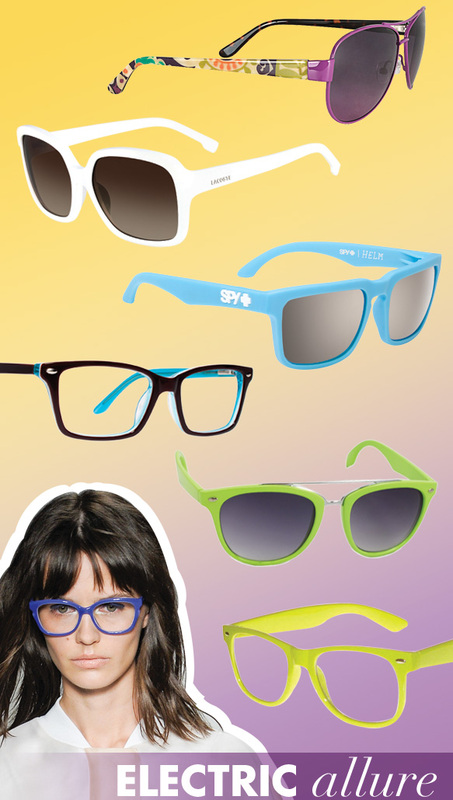 Aviators and wayfarers are key silhouettes; however, color is certainly the driving force behind these delicious frames. Handcrafted appeal comes to the forefront this spring as earthy tones, organic textures and nature-inspired patterns flooded the runways. Boho babes will revel in this trend’s understated, yet classic look. 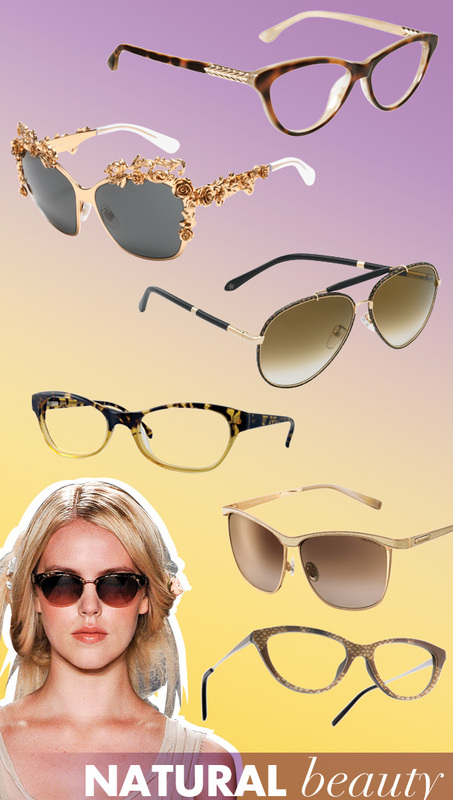 Eyewear takes on soothing tortoise and gold effects, while luxe leather and intricate snakeskin detailing add an unexpected twist. With an abundance of shapes and rustic treatments to choose from, these frames are bound to please every natural beauty. 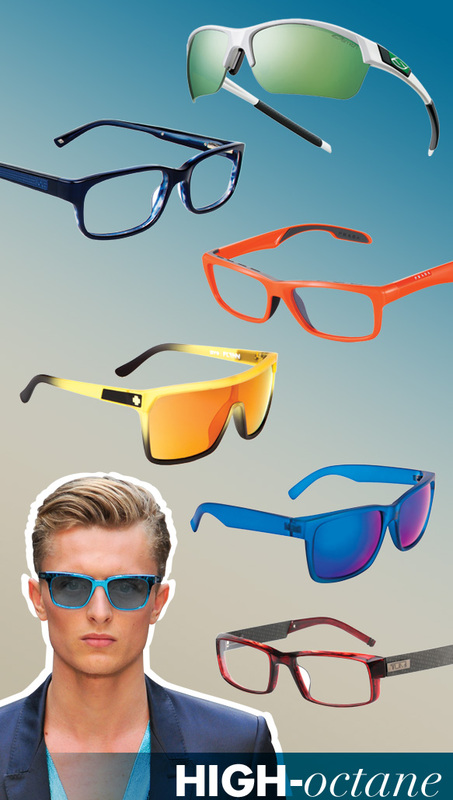 Fierce color paves the way for sporty dudes looking to add street appeal to their shades and specs this season. Fresh blues, punchy reds and dynamic greens set a colorful standard that is further supplemented with flash and chromatic lenses. Athletic wraparounds present a practical, but futuristic, style, while flat-top shields boost the cool factor. Traditional and semi-rimless rectangular silhouettes keep the optical frames balanced for a polished, fashion-conscious appearance. The retro obsession continues to rage on with a plethora of classic shapes, updated with refreshed finishes and details – a perfect match for every debonair prepster. Dashing rounds are paired with quaint keyhole bridge detailing, and brow bar emphasis comes to life in revamped Clubmaster-inspired profiles. Touches of glossy leather, textured wood and gold trim bring dimension to the table, especially when it comes to modernized aviators. Complementary tortoise, sandy, blue and other neutral tones keep this trend grounded and distinguished. No-nonsense men are given a clean, simple palette to work with, as gray, black and crystal hues blaze the trail for the impending warmer months. Blackened and silver metals make a strong comeback, while clip-on lenses breathe a new sense of life into these down-to-business frames. Barely there, transparent materials in clear and darkened shades reign supreme, and metal bridges and accents add sleek edge. A range of shapes, including squares and rectangles, makes it easy for guys to go back to the basics in pure style.